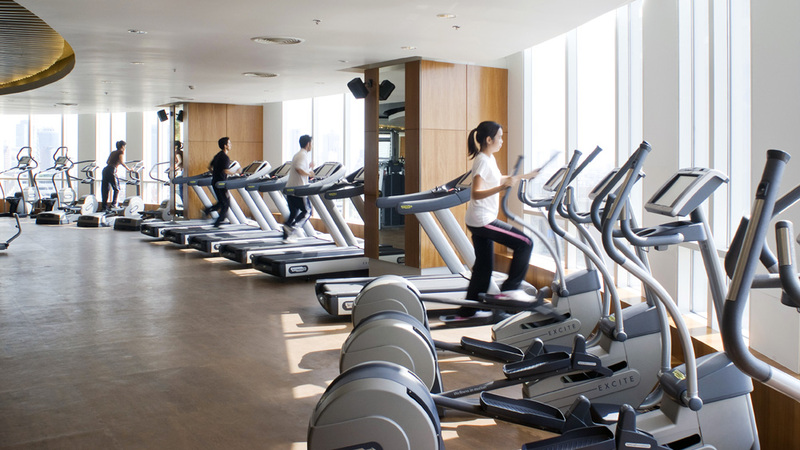 ﻿ How to start a fitness center business? Fitness is a term so many people are obsessed with. There can be different variations that might have all their interest but the whole idea of fitness looks very alluring. The youth wants to achieve looks that are trending and so many entrepreneurs want o venture into the business of fitness. Opening your own fitness centre or fitness studio does bring to the table a lot of hard work but is really rewarding. There are a few steps that one needs to keep in mind in order to establish a fitness business that is high on perfection and profits. It is very important to know what you are really looking for when it comes to starting a fitness business. With so many options available to people venturing into the fitness business, credit goes to all the huge health and fitness trends making waves in the industry. Research and contribute your time to finding out all the types of business models that exist and choose the one that fits your idea of an ideal fitness business and also suits your pocket. Be clear about the kind of customers you would like to attract and the services you’ll be providing to them. Also, train and get accredited so that the customers can really rely on you and your services for a healthy and safe way to their goal. Well, this is very crucial. What is a business without a business plan that doesn’t look promising? You need to decide on a fitness niche that you’ll be taking forward. There are many options one can choose from and some of them being speciality fitness centre, traditional gym, Medical fitness and wellness centre, family fitness and wellness centre etc. It is important to know whether you want to be a ‘for- profit’ business or a ‘non- profit’ business. Chalking out your business plan clears up a lot of things and gives a systematised view of the whole idea. Finding the perfect location is the next step one needs to hop on on the way to their journey to the fitness business. Having a business plan paves way for the person to calculate the space that is required for the whole venture. The location should be assessable so that clients can reach it easily. One would not like to travel too far just to use your services and so it is advisable to own a place that can be traced on Google maps. For a fitness centre, fitness studio or gym, staff and equipment are a basic need but that doesn’t make it any vulnerable to going for something that is north worth investing into. Every business in the fitness industry is going through a tough competition and it is needed for an emerging name to make a mark with quality services and well-mannered staff. Once you are done planning the staff and equipment required and have zeroed on the perfect location, bring in the funds for them. Adequate funds are required in order to ensure a smooth flow of getting things on board. In every successful fitness business, knowing the right amount of funds you require and putting them in the business builds a strong base for it to grow in the right direction. With social media taking over the way we promote our business, it has become a lot easier to reach out to large number of people. The brand should be able to connect with the customers by adopting promotional ways that can attract them. It is crucial for the brand to establish their name in the market in order to open their future prospects of growth and development. “The fitness industry is looking forward to new ways of attaining fitness and maintaining a better lifestyle. Fitness is not just about a fit body but a fit mind as well. By incorporating many new activities gyms are widening the area of exploration for the fitness enthusiasts. The merging of fitness with technology is also paving way for a great change in the way people approach the whole idea of fitness. Fitness lovers can now select trainers of their choice for the fitness activities. This way they will get a chance to choose a trainer which they feel will suit them best,” says Huzefa Lokhandwala, Celebrity Fitness Coach and Program Director, Train Me. Starting one’s own business is a big decision and obviously, no one wants to ruin everything up. Keeping in mind certain points before investing the best in the business helps to create a smooth platform for the plan to take off. The fitness industry is huge and there are new trends in the market every day. It is needed to stay updated with what’s happening in the industry and provide the best to the customers to keep your fitness business at the top of the game.